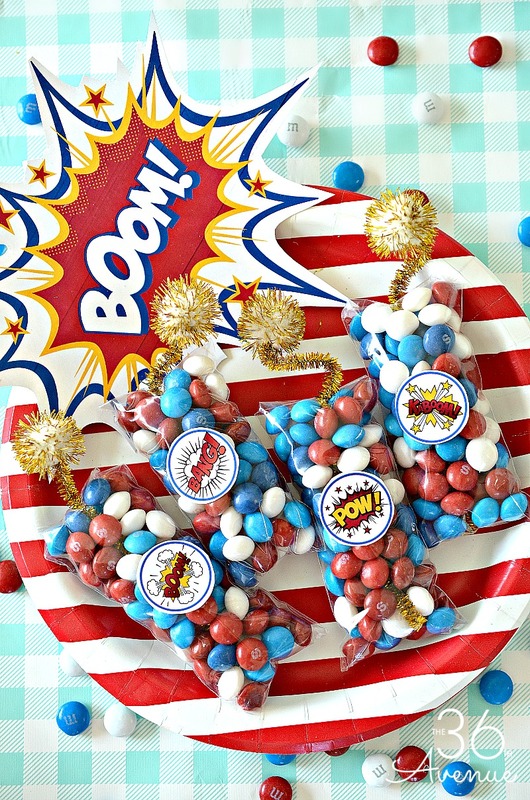 Celebrate this Fourth Of July with these fun and edible firecrackers. The printable for the tags and plate is on me! I love the Fourth of July and the opportunity we have to celebrate our freedom and the love we have for our beautiful country. 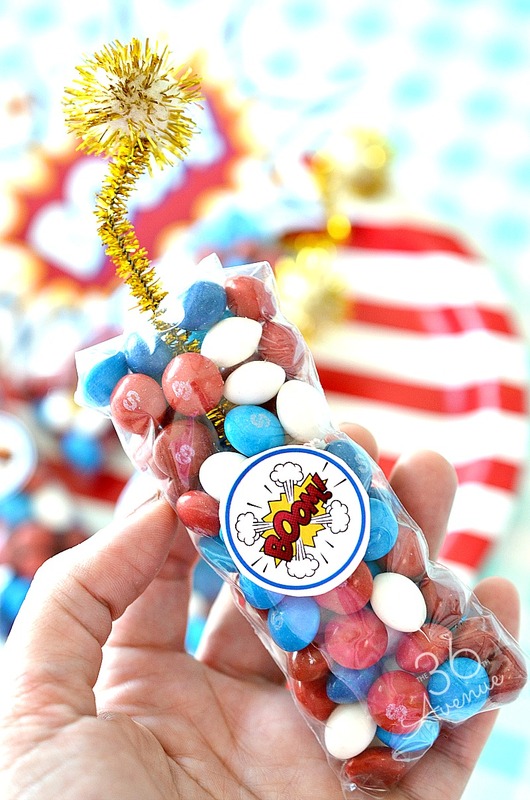 To add a fun treat to this year’s celebration I made these festive and edible firecrackers. Are these fun or what? 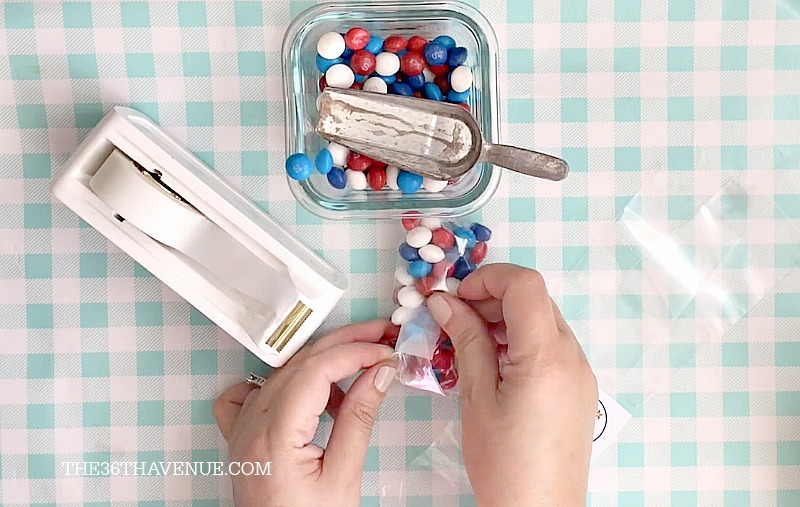 I love that they are easy to make and easy to take with you to the park or wherever you go to see the fireworks. My kids are already making me crazy asking if they can eat them now! One of my favorite things ( besides the candy ) about this treat is how easy it was to make. In five minutes you can do a dozen of them and for me less time spent making them is always a plus! Tape, scissors, and free printable tags. First fill three inches of the bag with candy. Cut the extra bag starting one inch from the end of the candy line. Fold the edges to make a triangle and tape it on the back of the bag. Then cut a small opening on the top of the bag and slide through half of a gold pipe cleaner. 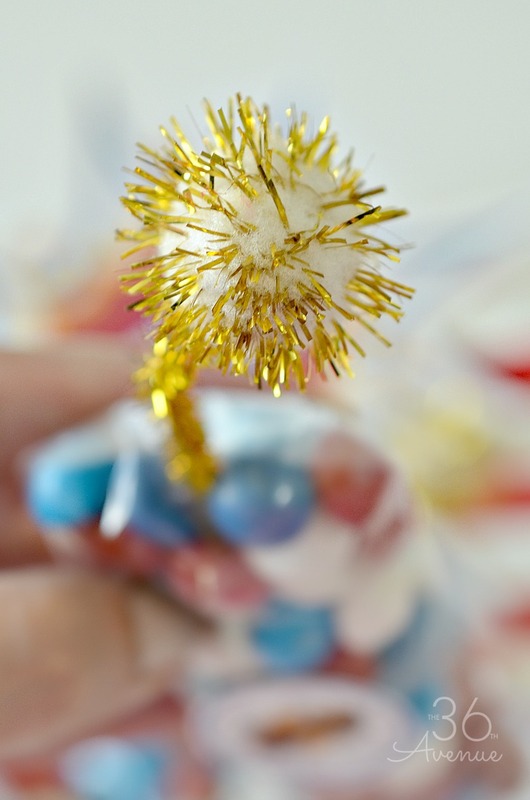 Pinch the pom-pom with the end of the pipe cleaner. If it doesn’t stay you can use hot glue to keep them together. 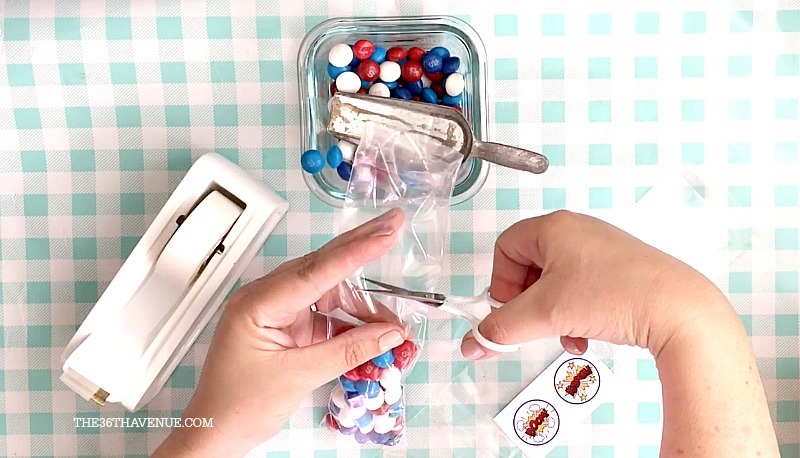 Print the printable below, cut the small circles, and use glue dots to attach them to the front of each bag. The larger printable goes on the serving plate or paper bag where you are going to serve the firecrackers. 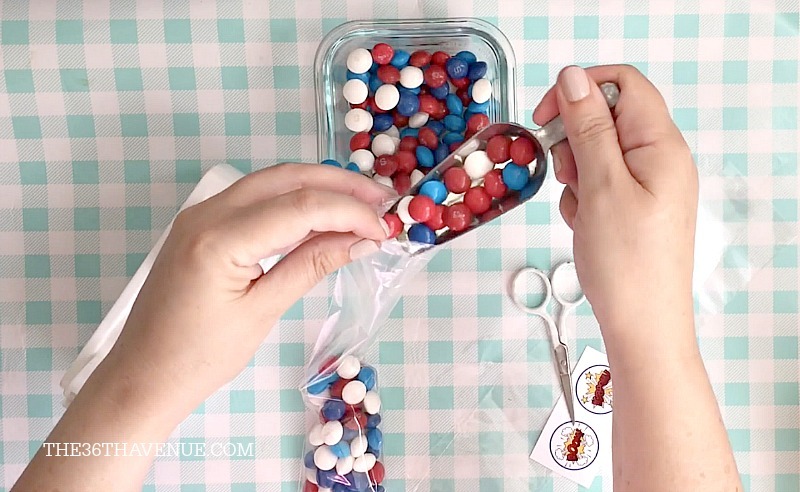 Here are some other fun Fourth Of July Ideas that we love! These red, white, and blue festive Patriotic Recipes are perfect to celebrate Independence Day.